How to Play and Watch DVD on Chromebook Offline? How to Play and Watch DVD on Chromebook offline at Travels? Tutorial on playing and watching DVD movies/TV shows on Chromebook offline anywhere. Question: How do I watch DVD on my Chromebook? The DVDs I need to rip are Calculus 3 Advanced tutor from learning by example. I need to rip them to SD cards so that I can watch them on my Chromebook. Is this steps right? And which DVD ripper is easy-to-use? Please also show me how, many thanks!!! WinX DVD Ripper Platinum - NO. 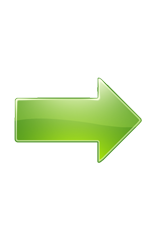 1 DVD ripper [100% safe clean] It can help rip any DVD, including copy-protected discs to MP4 (H.264), AVI, MOV, M4V, MP3 etc. Chromebook supported formats, delivering the No.1 fast speed. What's Chromebook and Why to Play DVD on Chromebook? 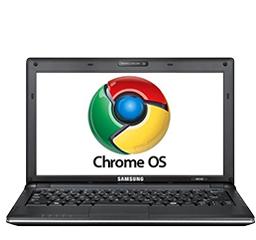 Chromebook laptop is a new type of online computing thin client based on Google Chrome OS, only workable after being connected to the Internet. You are supposed to operate all web-based APPs or surf the Internet through Chrome browser, with all related source materials stored in the cloud. Cloud storing overcomes the problem of limited hard drive space in conventional computer devices, bringing much convenience to the users who work or learn in irregular places. However, Chromebook does not have any Windows or Mac applications, if you have related needs, Chromebook is not recommended to purchase. Google, Samsung, Acer, HP, Ausus, Toshiba, Lenovo all have released or will release their own Chromebook laptops. Some are much sought after in the education field for its handiness, security, battery life, inexpensive price. Since Chromebook owns relatively smaller hard drive capacity, with no CD/DVD drives, you can not directly play DVD on Chromebook. But there is an easy way to watch DVD on it. Just follow the guide below. How to Rip DVD to Chromebook Formats and then Play DVD on Chromebook? 1): Download WinX DVD Ripper Platinum on your Windows or Mac computer, install and launch it on desktop. Note: Normally, WinX ripper can analyze and tick the protected movie DVD's right title by itself, like Dinsey movie DVDs. c). Then it will go back to the main interface again. Click Browse at the bottom to set the output foler to USB flash disk. Morover, you can choose forced foreign language subtitles only, select the audio channel, trim/crop the movie video, reset the default video parameters, ripping speed etc. as you like. d). Hit Run to set the DVD to Chromebook formats ripping out. Generally speaking, it will take you half an hour to rip a common movie DVD to MP4 formats. Of course the ripping speed also depends on the selected output video format, related speed options setting, your computer configuration and the movie running time. After sucessful ripping, you can transfer the ripped movie video to Chromebook with USB flash disk and then play watch movie on Chromebook at leisure time. The No.1 DVD ripping software which enables you to convert DVD to MP4, AVI, play DVD content on iPhone, Chromecast, Google Nexus, Huawei, Xbox, PSP etc, with original quality. How to play DVD on laptop? How to play DVD on Windows 10/8/7 computer? Best 2 ways to easily play DVD on Windows 10/8/8.1/7 or Mac. How to get free HD/4K movies for Nexus 9 to watch movies for free on widescreen Nexus 9 tablet? This article will show great ways of free watching movies on Nexus 9. Technically, this is a guide for free ripping DVD to Google Nexus 8/4/5/10 on PC/Mac. Convert DVD to Nexus 8 for free to solve your DVD playback problem.